The video helps to picture the effects. Jamie tested new 3D Fins design during Volcom Pipe Pro. There is a difference. Surf News Network – Jamie O’Brien continues his unpredictability with a recent signing with 3D Fins. 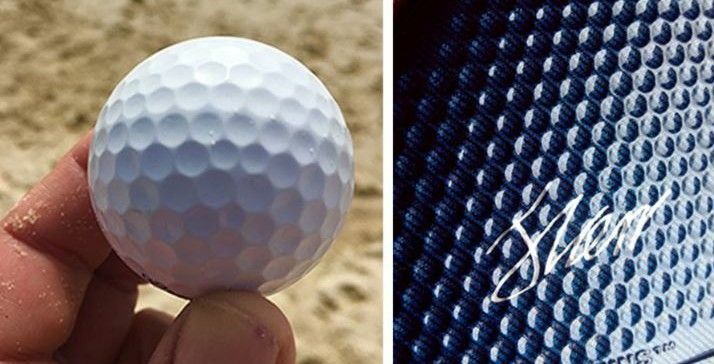 The company from Australia features Golf ball dimple technology. A set of 3D Fins fell into Jamie’s hands 12 months ago. Jamie was intrigued and started to ride them in anything Hawaii could throw at him. Feeling something special Jamie was keen for more. Jamie rode the Josh Kerr 5.0 at the infamous Teahupoo on fire stunt again testing the fins in extreme conditions. The resulting footage garnered attention worldwide and was covered extensively in the media. Knowing Jamie was up for new idea’s 3D Fins sent Jamie a radical new Innovation Courtney Potter had been working on to compliment the Dimples. Little did we know he started testing them out at Pipe on some of the best days of the year. 2016 Volcom pipe pro was the final test, Jamie decided to ride the new design. What nobody realized is Jamie rode the secret fin design during the entire Pipe pro. In what can only be described as ground breaking he rode the radical new design by 3D Fins to second place at the 2016 Volcom pro. Jamie decided he wanted the new innovation(yet to be announced) on his signature fin and the deal was done. Jamie O’Briens Signs with the 3D Fins and his signature fin will be the most innovative fin ever released. As we all know, a golf ball with dimples will fly further than a golf ball without. What most of us don’t know is why? There are two main reasons: The Dimpled Surface reduces drag; The Dimpled Surface improves lift. There are two types of flow around an object: laminar and turbulent. Laminar flow has less drag, but it is also prone to a phenomenon called “separation.” Once separation of a laminar boundary layer occurs, drag rises dramatically because of eddies that form in the gap. Turbulent flow has more drag initially but also better adhesion, and therefore is less prone to separation. 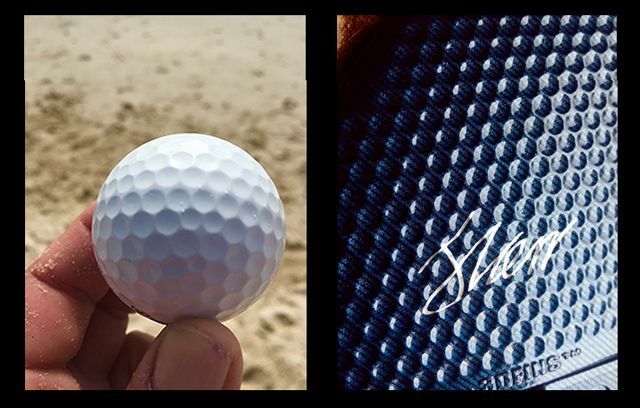 Therefore, if the shape of an object is such that separation occurs easily, it is better to create a turbulent boundary layer in order to increase adhesion and reduce eddies (which means a significant reduction in drag) Dimples on golf balls create a turbulent boundary layer. So we at 3DFINS decided to test these principles and apply them to a surfboard fin. With advanced Computer Fluid Dynamic testing, we compared two identical fins: the 3DFINS dimpled fin and the exact same fin without dimples. The tests were conducted by fluid dynamics expert Darren Stephens (formally of CSIRO) and the results were surprising. A surfboard fin with a smooth surface is much like a golf ball with a smooth surface, it has a lamina flow over the surface. This works quite well when going straight and at lower speeds, but when you start to turn and reach higher speeds the fluid starts to separate from the foil or fins surface. A surfboard fin with dimples creates a turbulent flow. Turbulent flow has more adhesion so when you start to turn, the dimpled fin surface delays the flow separation, reducing cavitation’s (the separation bubble) allowing the foil to maintain performance. When the surfer is turning at high speeds, the turbulent boundary layer helps the flow overcome an adverse pressure gradient and allows the fin to remain attached to the surface longer than it would otherwise. This reduces drag, increases lift and improves overall performance of the fin design.